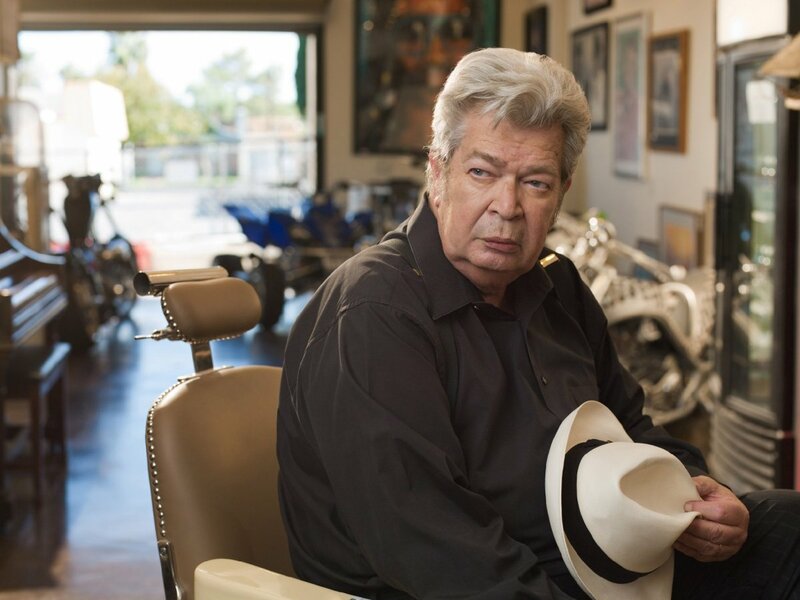 Pawn Stars star Richard Benjamin Harrison, nicknamed "The Old Man" on the show, has sadly passed away. Richard, the co-owner and founder of Rick Harrison's Gold & Silver Pawn Shop, died on Monday at age 77, TMZ reported. According to sources close to Richard, he reportedly died after losing his battle with Parkinson's Disease. "Richard Benjamin 'The Old Man' Harrison passed away this morning surrounded by those he loved. He will be tremendously missed by our family, the team at Gold & Silver Pawn and his many fans the world over," Rick Harrison, 53, said in a statement obtained by Us Weekly. "He was my hero and I was fortunate to get a very cool 'Old Man' as my dad. That I got to share him with so many others and they got to see what a great family man he was is something I am grateful to have experienced with him." Rick continued, "He lived a very full life and through the History television show Pawn Stars touched the lives of people all over teaching them the value of loving your family, hard work and humor. We appreciate everyone's thoughts and prayers and ask that we are provided some privacy at this time." The family's pawn shop also released a Monday statement on Richard's death via Facebook. "It is with heavy hearts that we acknowledge the passing of Richard Benjamin Harrison (known as 'The Old Man' to Pawn Stars fans the world over) this morning. He was surrounded by loving family this past weekend and went peacefully. The team at Gold & Silver Pawn and the Pawn Stars family is grieving his loss," the pawn shop wrote. "He will be remembered as the best father, grandfather and great-grandfather you could have by his family and by fans as the sometimes grumpy (always loving, however), often wisecracking, and voice of absolute reason on the History television show Pawn Stars. Services are pending and the family appreciates your prayers and kind words." "The Old Man" and his son Rick jointly opened the famous pawn shop featured on Pawn Stars in 1989. The series premiered in July 2009 on History Channel, with its fifteenth season currently airing. Richard became known as "The Old Man" when he was 38-years-old, according to Us, on Season 2 of Pawn Stars. "We are deeply saddened by the loss of our friend Richard 'The Old Man' Harrison, a beloved member of the History and Pawn Stars family," History Channel told the magazine in a statement. "He will be greatly missed for his wisdom and candor. Our thoughts are with the Harrison family during this difficult time." 'The Bachelorette' spoilers: Who does Becca Kufrin pick as her winner? Who are her Final 4 bachelors? ?